Pnhom Baykhlor Resort is the natural and cultural resort. It is located at Thuaut Chum village, Thnaut Chum commune, Ko Kor District in 20-Kilometer distance from the provincial town of Pursat by the National Road N0 5 then turning right more 12 Kilometers to the East. This resort consists of: - Beautiful scenery for tourists. - Mountain and forest. - Broken ancient statues and other varied sculpt. 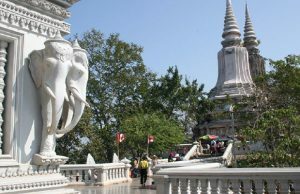 It is a nice place to spend a day while you are out on Pursat tours. The natural beauty of the place and the exotic surroundings are sure to allure you. The beautiful scenery and the wide range of features make Phnom Baykhlor Resort, Pursat a delightful spot and also a place worth visiting. Phnom Baykhlor Resort, Pursat is one of the major tourist attractions in Pursat that attract the visitors with its scenic beauty and exquisiteness. 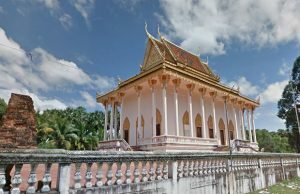 There are a few resorts and fascinating places to visit while out on sightseeing in Pursat and among them Phnom Baykhlor Resort is one of the lovely places. Phnom Baykhlor Resort in Pursat is located at Thuaut Chum village, Thnaut Chum commune, Ko Kor District. 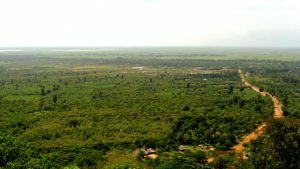 It is about 20 kilometers from the provincial town of Pursat. It is easily accessible from the town and you can reach here by taking the National Road N0 5 then turning right and driving about 12 kilometers to the East. It is visited by many vacationers seeking complete relaxation and also family units for spending a fun filled and a pleasurable day. It appeals to all sections of the society- small and big, young and the old. 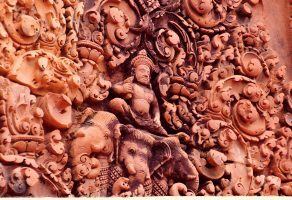 Well known for its beautiful scenery, Phnom Baykhlor Resort, Pursat is a favorite with the tourists who could also capture some of the most amazing pictures. The resort also consists of broken ancient statues and there are interesting sculptures also that can be found here. The diverse landscapes and the beauty of the mountains and forests surrounding it further add a charm to Phnom Baykhlor Resort, Pursat.